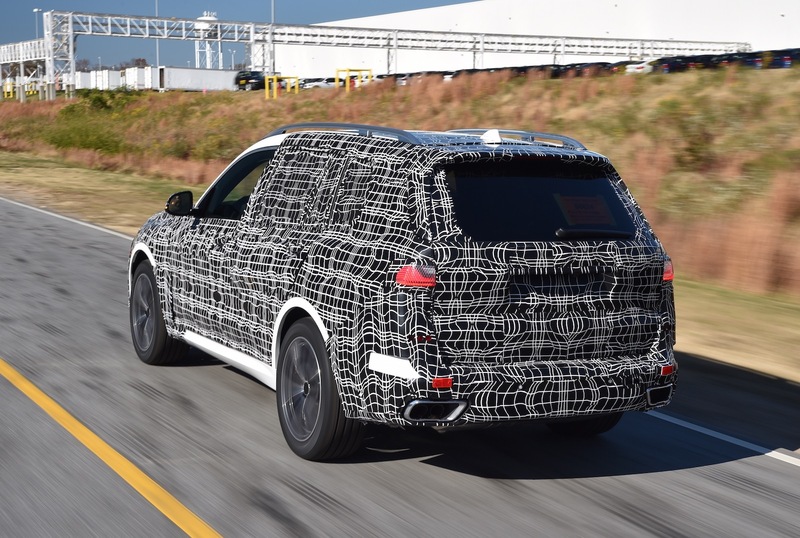 The first pre-production versions of the all-new BMW X7 have rolled out of the Spartanburg factory, ready for testing, giving us a first look at the mammoth SUV before its market entry in 2019. Needless to say, this will be BMW’s largest ever SUV, sitting above the X5. 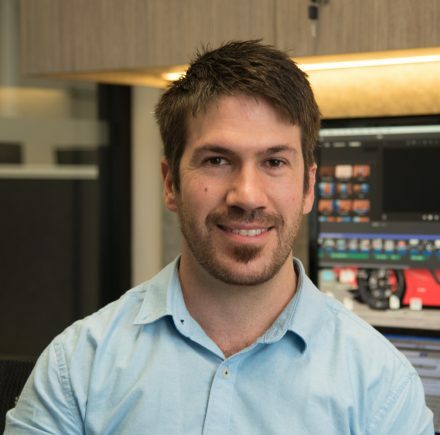 Speaking at a recent media event in Tasmania, BMW Australia CEO Marc Werner said he has seen the production car and says it really is massive. 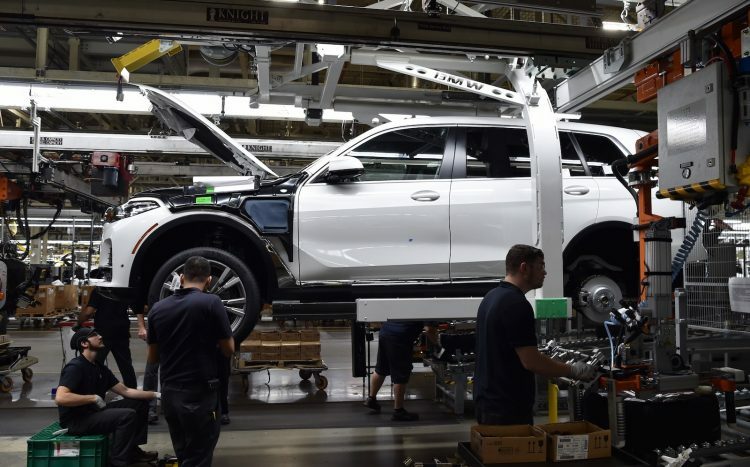 It’ll be looking to take on the likes of the grand daddy Rover Rover and the Mercedes-Benz GLS. 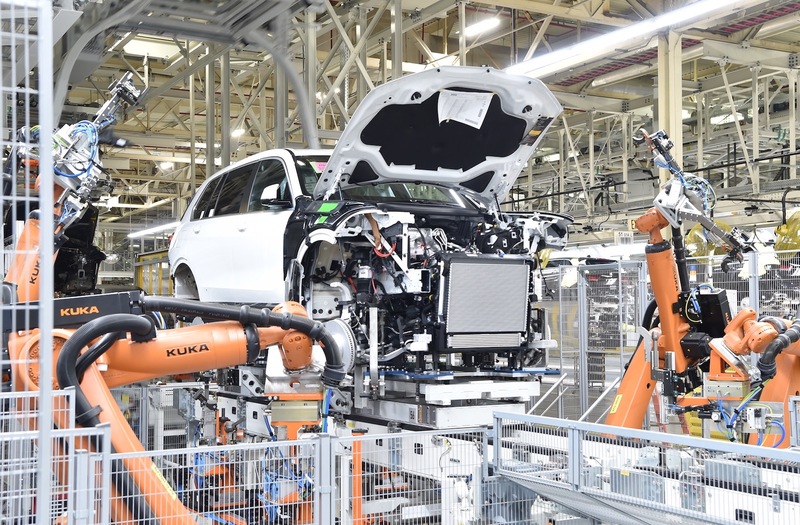 The X7 is being built on the same production line as the X5 and X6, with the pre-production versions given a special camouflage wrap before leaving the factory. 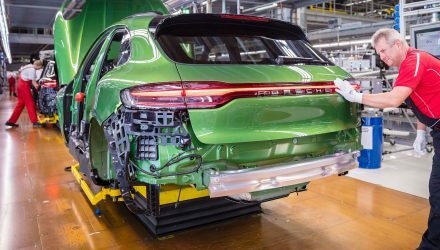 These prototypes will undergo stringent testing in extreme weather areas such as the heat of Death Valley, and icy conditions of Scandinavia. Even though the prototype is covered in a disorienting wrap, the main gist of the body styling can be visualised. 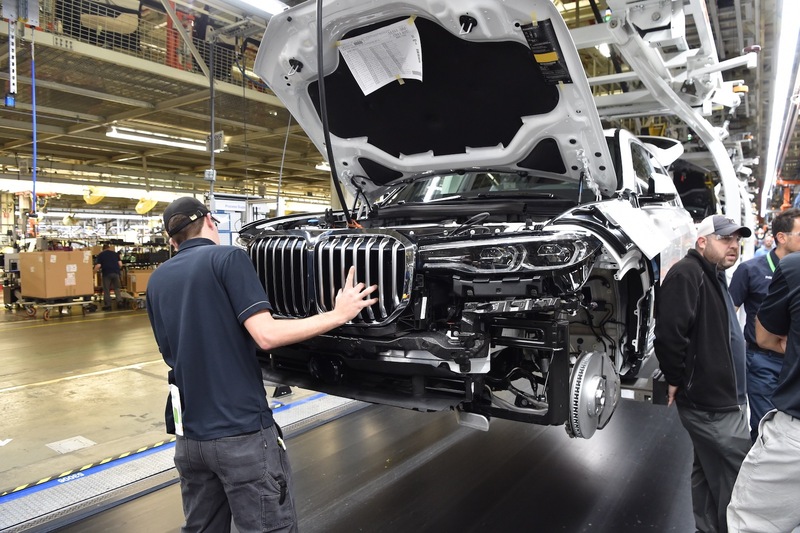 At the front is a pronounced upper grille section with a big interpretation of BMW’s twin kidney grilles, while the doors and torso feature a rounded contour that lead to the solid rear design. 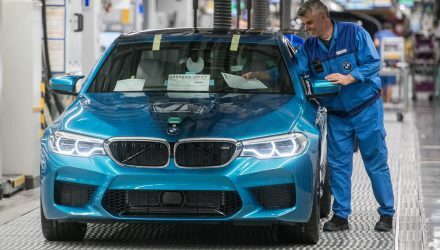 In the production process images it looks like the X7 will feature the chrome ‘ice hockey stick’ door sill trimming borrowed from the 7 Series. This, along with many other highlights, will probably be a key distinctive feature for the X7 compared with the X5 and X3 and so on. 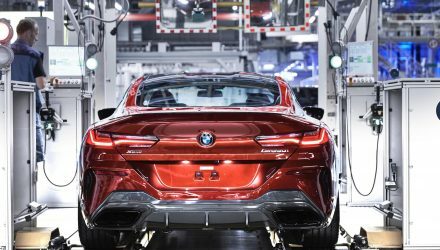 At this stage no technical details or in-car specifications have been revealed, however, we can probably expect a similar powertrain lineup as those offered in the 5 Series and 7 Series. There has been rumours of a flagship twin-turbo V12 joining the range too, but nothing has been confirmed yet. The full debut will take place late in 2018, likely at a major motor show. 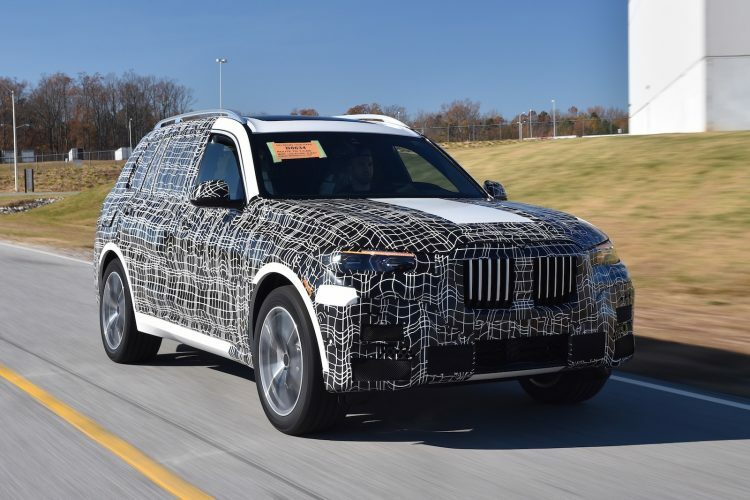 BMW Australia has confirmed the X7 will be offered locally, arriving in 2019.